I might have a weird question, but ios badges, can they be accumulative? Like imessage does for example? I have set up notifications, but send out the same notification as a persistent one. This way the notification area is like an activity log but lightweight. The problem is, I can only set the number on the badge and not make them accumulative. 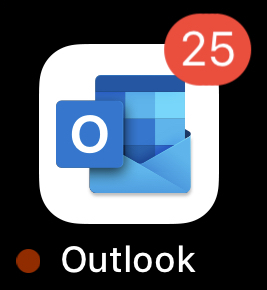 As in the number of the badge shows the amount of notifications I have. No the badge number is set by you in the notification action code. You could use a counter in a template to indicate the number of sent messages but it would not decrease as you read them. I’ve never found a use for it. That template counter sounds allright though. I’ll find a way to clear badges. You could use actionable notifications with ‘Mark read’ as the action (decrement counter) for all your notifications but not selecting this action after reading the message would stuff up the count and the badge total would not update until the next message.